Most Pakistanis probably already know that United States can not keep violating the sovereignty of Pakistan without the Pakistan's consent, as it was reveled in Wikileaks today. 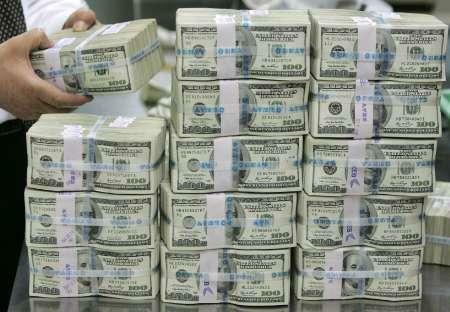 11.3 billion dollars, how much could it help Pakistan? Federal authorities are using words uttered by the co-founder of a radical Islamic group to charge him with threats against the creators of "South Park." JERUSALEM — Israel's prime minister on Thursday gave a cool reception to President Barack Obama's Mideast policy speech, warning a withdrawal from the West Bank wold leave Israel vulnerable to attack and setting up what could be a tense meeting at the White House. Debt Ceiling D-Day: U.S. to Hit $14.3 Trillion: "The United States will hit its $14.3 trillion congressionally-mandated borrowing limit May 16, 2011, and the f..."
"‘I Saved My Country From Nuclear Blackmail’ The “father” of the Pakistani bomb on why we shouldn’t be afraid. Safiya Gaddafi and her daughter Aisha crossed into Tunisia "a few days ago" with a Libyan delegation, according to Tunisian security sources. Kahn gets bail on Thursday, which is set at 1 million dollar cash and 5 million bond, he must surrender all his traveling documents and wear monitoring device. He will be spending one more night in jail and will be released tomorrow. Kristin Davis said she provided young women for the IMF chief in 2006, as he ran for the French Socialists' presidential nomination, and that one complained about his "aggressive" behaviour. France's Dominique Strauss-Kahn resigned Thursday as managing director of the International Monetary Fund (IMF) but maintained he was innocent of the sexual assault charges against him. Chinese Premier Wen Jiabao welcomes Pakistan's PM Yousif Raza Gilani in Bejing. President Barack Obama Wednesday imposed tough sanctions against Syrian President Bashar al-Assad and six other senior Syrian officials in an effort to stop the regime's fierce crackdown on protests, the U.S. Treasury Department said. Five Chechen militants including three women armed with guns and bombs attacked a security check post near Quetta on Tuesday and were killed in a firefight, police officials said. Senior Al-Qaeda Yemeni operative arrested in Karachi, Pakistan. Mohammed Ali Qasim, also known as Abu Suhaib al-Makki, had been working under al-Qaeda leaders along the Pakistan-Afghanistan border, a statement said. A 32-year-old hotel worker told police she went in to clean what she thought was an empty, $3,000-a-night luxury suite. Police say the woman claims Strauss-Kahn came out of the bathroom naked. A Nato helicopter based in Afghanistan intruded into Pakistan North Waziristan region on Tuesday, wounding two Pakistani troops, local intelligence officials said. The Daily Telegraph revealed that David Cameron has ordered British commanders to draw up plans to start pulling hundreds of British troops out of Afghanistan within weeks. Senator Kerry said Pakistan would return the tail of a helicopter, Navy Seals destroyed during the operation that got bin Laden after a hard landing. Senator was speaking to reporters in Pakistan. It is unclear how Senator got Pakistan to agree with this. In earlier reports it was believed that Chinese engineers were very interested in taking a look at the Chopper. Some have speculated that Chinese have already looked at the wreckage and gathered information from it. Chief Minister Punjab, Mian Shahbaz Sharif said that his cabinet has decided to reject foriegn aid. Speaking to the media in Lahore, Shahbaz called for the country to focus on trade rather than aid. A Saudi diplomat was killed in a drive-by shooting near the consulate in Karachi on Monday, the second attack on Saudi interests in Pakistan's biggest city in less than a week, officials said. At what age did you lose your sovereignty? Chief Minister Punjab Mian Mohammed Shahbaz Sharif has said that US operation in Abbottabad disgraced national honour and pride, Geo News reported. Senator John Kerry Sunday held a meeting with Chief of Army Staff General Kayani at General Headquarters in Rawalpindi, Geo News reported. Pakistan, in protest of US unilateral action against the al Qaeda chief in its territory has broken off relation with CIA. The revelation that the Osama-Bin-Laden had direct contact with his followers - and did not rely solely on messengers - came as a US-led task force urgently trawled captured documents and computer files for terror plots and information about extremists. How much money does Pakistan get in U.S. aid? Since 2001 Pakistan has received 20 billions in U.S. aid, this year alone it is scheduled to receive 1.5 billion more. Most of this money goes to the Pakistan army including ISI, and some of it goes to humanitarian missions. 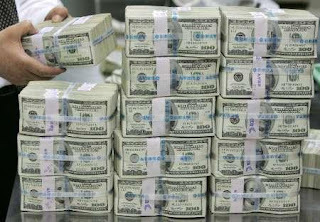 Pakistan received a total of $2.7 billion dollars in aid and reimbursements from Washington in fiscal year 2010, which ended on October 1, making it the third-largest recipient of US aid after Afghanistan and Israel.